Autodesk Fusion updates by creating a new folder in the production dir, with a special hash code signifying the version. When I try to open Autodesk from Alfred, I get a list of applications, yet only one exists (the previous versions are all indexed, but have since been deleted). So clicking on most of the icons does nothing. I have to sort of randomly guess which link is correct. I have attempted to reset the search scope, but I don't what else I could do other than creating a custom workflow, which I would have to update on each Autodesk update. With each new update, the list keeps getting longer. It will inconsistently add the broken app icon after some amount of attempts to open or age. This might be a spotlight bug, but I wonder if there is a way to fix it? > Actually spotlight doesn't recognize the location of the Autodesk Fusion application and instead only finds the application for Autodesk removal. Do any stub files exist in these locations? Also, are these files .app or some other non-standard type? 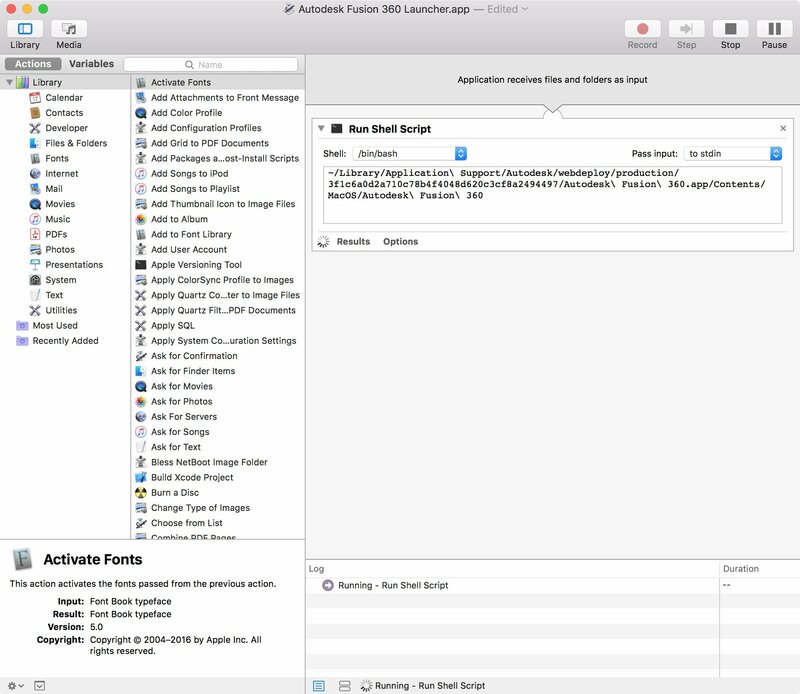 as Alfred's application cache will only show files if they actually exist. Try typing 'reload' into Alfred to see if that helps? Hi! Sorry for the delay, I didn't properly subscribe to notifications. So I think I figured out more of what was going on. There isn't really a fix for this (and OS X doesn't index aliases by default), but you could put together a little workflow which launches the latest alias. If you set the keyword and icon to be the Autodesk icon, it will appear like launching any other app. I know this an old thread, but the issue is not yet resolved it seems. I saved this as Autodesk Fusion 360 Launcher.app in Applications/.